And in typical fashion, with a special occasion on top of us, I am doing the complete opposite of what the event dictates. Oh my Inner Rebel! 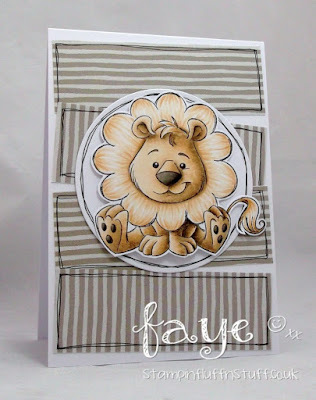 In my defence, when I was rummaging through my stash deciding what to play with, Lion Love (UK Peeps, you can get Whimsy Stamps from Tracy at Dies To Die For.) caught my eye. I really wanted to tackle his mane. In a further act of rebelliousness, I put him with some of the more neutral coloured paper from the Painted Prints Smitten Paper Pad. (Luuuuuuuuuurve this pad!) You know me, I'm terrible at pale colours! Thanks so much for stopping by... Have a lovely Sunday. Isn't he fabulous?! Love this. WOWZERS !!!!!! 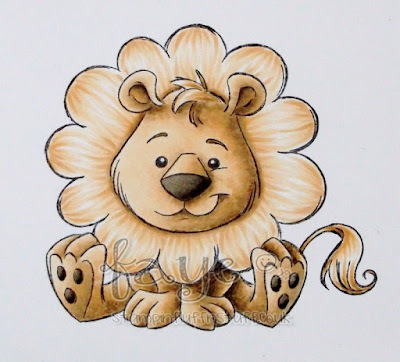 I love that Leo the Lion, he's just ADORABLE and I love how you've coloured his mane. He's so cute. I want to wrap my arms around him!!! Fabulous shading and lovely golden fur. 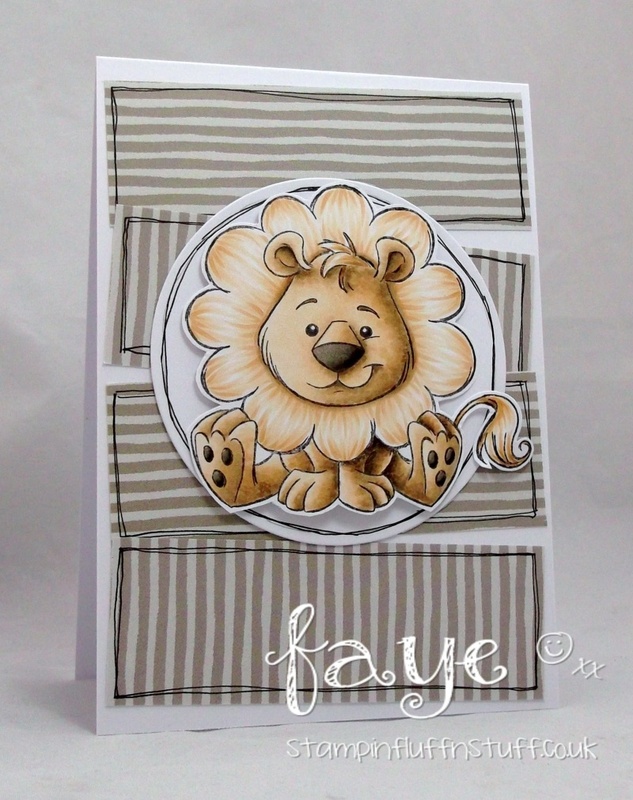 Massive LION LOVE for this gorgeous card!! ROARRRRRRRRRRRRRRRRRRRRRRR!!! I'm loving this lion and his gorgeously furry mane...majestic!